Eagle-eyed fans have spotted an interesting detail in Star Wars: The Last Jedi’s theatrical poster, namely that all the characters together form the shape of Darth Vader’s iconic helmet. Check it out below. 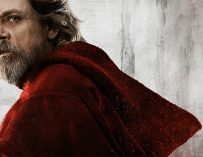 Star Wars: The Last Jedi’s trailer was premiered the other night, much to Star Wars fans’ delight, and along with the trailer, Lucasfilm also released the film’s theatrical poster. It’s big, beautiful, screams Star Wars, and is very red – like most of The Last Jedi’s promotional material so far. The colour red seems to play a big part in the upcoming Star Wars movie, yet there might also be something, or more precisely someone, playing a part in the background. Have a look at the theatrical poster below and try to see what I’m referring to. If you look closely enough, you can spot that all the characters put together, along with the film’s title, form Darth Vader’s head. Even though the Sith Lord wasn’t in the previous movie, his presence was still very much felt, mostly by Kylo Ren who’s become obsessed with his grandfather. 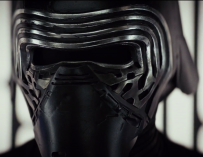 The fact that he wears a Darth Vader-like helmet is proof of this, however, if the poster’s anything to go by, the Sith Lord’s shadow will still be looming large over The Last Jedi’s protagonists, young and old. 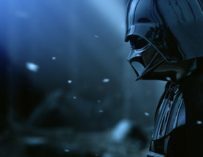 If you’ve read the Star Wars novel, Bloodlines, then you’d know the fact that Princess Leia’s father was the dreaded Darth Vader cost her her job, and the Skywalker family could very well still be suffering from Anakin’s actions. Both Kylo and Rey’s heritage could play a big part in this movie, and Luke might also be questioning his role in all of this. 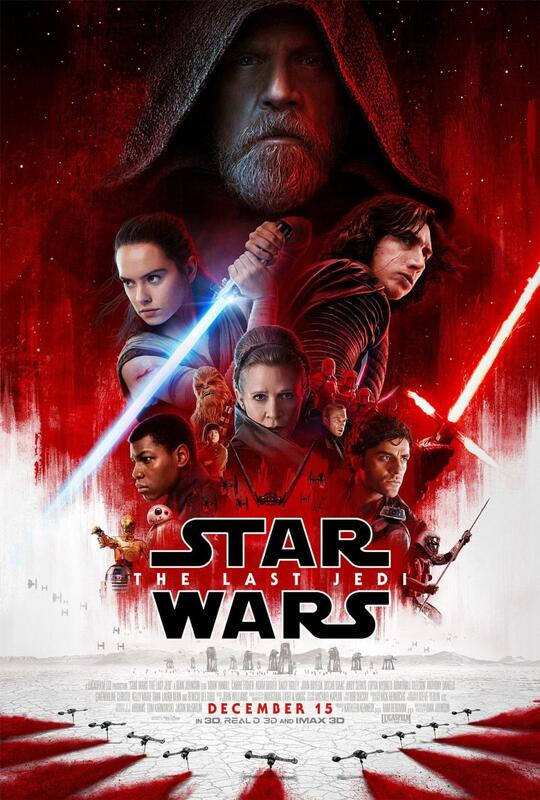 Luke’s face is far bigger than anyone else in this poster, which seems to hint at his great importance in The Last Jedi. He could very well be facing some rather difficult questions about his ancestry and his relationship with the Force and the Jedi. We all heard what he said in the first teaser trailer, “It’s time for the Jedi to end.” What does that mean? We’re going to have to wait until December to find out. Star Wars: The Last Jedi will be in UK cinemas on December 14th. Have you bought your tickets yet? Better hurry up. They’re selling out fast.